I ask for your prayers for the repose of the soul of Archbishop Marcel Lefebvre, and his saintly parents, as well as prayers for his canonization. Saints like St. Joan of Arc and St. Anthanasius were despised - St. Anthanasius was at one time excommunicated and St. Joan of Arc was executed for supposedly being a "heretic". Pray for the canonization of Marcel Lefebvre. 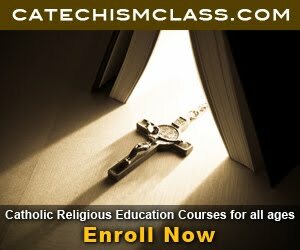 Without his role in the restoration of the Tridentine Latin Mass, it would not be available in the world today. Without his role, Summorum Pontificum would not exist. Our Savior has sent to us a shepherd after His own heart to protect the Mass of the Ages. Here are my words of advice to her. I pray that these benefit others as well. In response to My First Encounter with the Extraordinary Form. I am so glad to have heard from you and I rejoice that Our Blessed Lord has used me as a means of spreading the beautiful Mass of the Ages to even just one more soul. As you expressed in your post, it can feel clumsy and lost to attend anything new for the first time, but how beautiful the Mass of the Ages is! As I have heard it many times, it is not important for you to go there and understand everything. I am so proud to read that you were at least able to read along with the prayers, something that some people do not do at all at their first Tridentine Mass. During those first few Masses that you attend, just place yourself in the presence of the priest, who ascends to the altar like Moses ascended the Mountain in order to offer the sacrifice to God for the people. 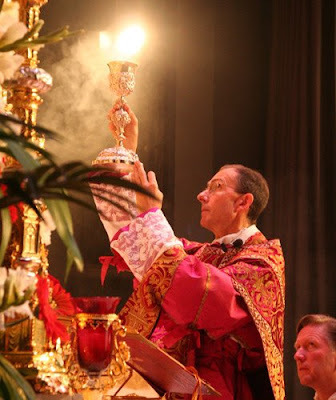 For me, as the priest ascends the altar and the Mass takes place, I find at the Tridentine Mass that I am closest to feeling and understanding that at the Mass Heaven and Earth are united. In the context of this Mass, how beautiful it is hear the hymn "Faith of our Fathers". 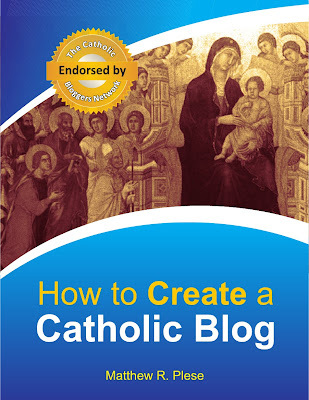 I would encourage you to try to slowly obtain several wonderful works for your spiritual nourishment. Here are links to a few. 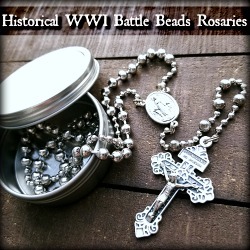 A website to find many Traditional things at cheap prices is the Our Lady of the Rosary Library. 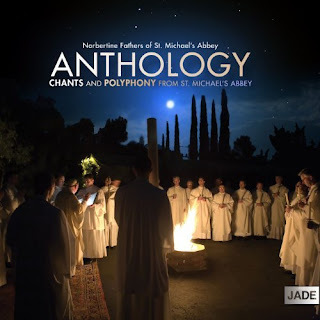 I was recently given the opportunity to review "Anthology: Chants and Polyphony from St. Michael's Abbey". The CD features the recordings of the Norbertine Fathers of St. Michael's Abbey. While I have heard first-hand experience of the Norbertine order falling headfirst into liberalism, St. Michael's Abbey remains as a beacon of hope for the order. The CD features 18 beautifully Catholic titles including Exultet, Attende Coelum, Panis Angelicus, Ave Maria, Verbum Caro, and more! I highly recommend this CD to all Catholics. After "Christmas at St. Michael's Abbey" - "The singing on this album is so very beautiful, and thoroughly authentic," California Catholic Daily - Jade Music is proud to release the second album by the Norbertine Fathers: Anthology: Chants and Polyphony from St. Michael's Abbey, another rare release of chants and polyphony from a domestic U.S. abbey. The eclectic selection on this album is a cross-section of music sung at the abbey that includes chants from the liturgy as well as motets and music from the Renaissance era. These latter are sung on more solemn occasions like Easter, Pentecost, Christmas, and other great feasts of the liturgical year. "Anthology: Chants and Polyphony from St. Michael's Abbey" is a testimony of the vigor and subtle beauty of Gregorian chant as sung today in the USA. St. Michael's Abbey is a community of Norbertine Canons Regular in Orange County, California. Its first members were Hungarian priests who escaped communism to find refuge in the United States in 1957. The community was raised to the status of an abbey in 1984, because of its growth. St. Michael's Abbey now numbers nearly 70 members. 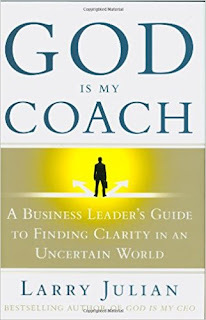 I recently was given the opportunity to review the book "God is my Coach: A Business Leader's Guide to Finding Clarity in an uncertain world" by Larry Julian. 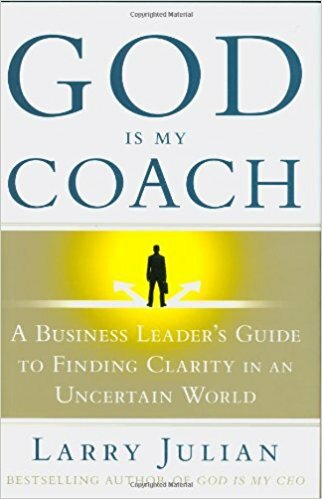 The book did not fit my needs perfectly since its primary audience will be individuals interested in strategic planning, mentoring, and/or coaching; however, the book was certainly useful for individuals in such fields. As a resident of the Twin Cities, I particularly enjoyed Julian's mention of several businesses from the local area. The back cover features a recommendation of Brad Anderson, CEO of Best Buy, a Minnesota-based company. One particular gem of wisdom from the book, which I was thoroughly pleased to ascertain, was Julian's opinion on giftedness. Julian stated, "Your giftedness is the intersection of what you naturally do well with what you love doing," (Julian 8) a highly useful notion. While the book was useful for business, I personally did not agree with the religious comments by the author since he appears to subscribe to the beliefs of "Born Again" Christians. All in all, a good book for those interested in one-on-one coaching, mentoring forums, or strategic planning.